Chanthaburi is a province in the east of Thailand, just 245 km. away from Bangkok. It is the city which is appropriate to grow fruits especially durian, king of fruits, and mangosteen, queen of fruits. There are places to go such as mountains, forests, waterfalls, beaches and historical sites. 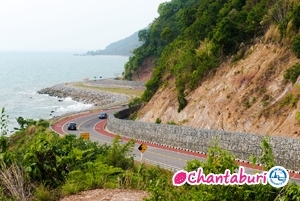 Because it takes just 4 hours from Bangkok, Chanthaburi is one of popular cities for Thai and foreign tourists.